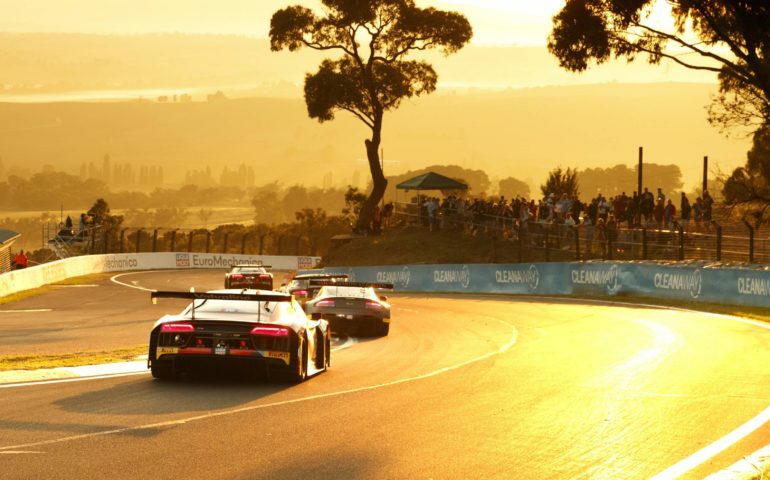 WAS that the best Bathurst Ever? How did Porsche get home first? Why is Raffaele Marciello grumpy? 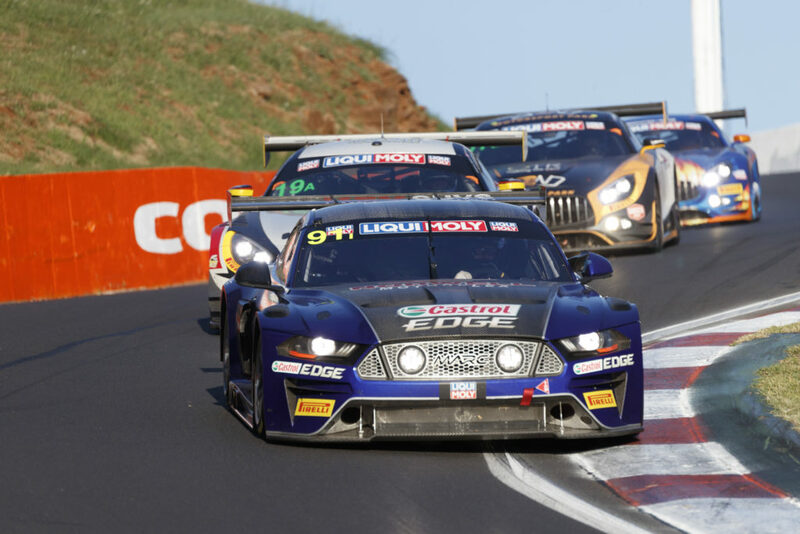 There’s lots more to take out of the remarkable 2019 running of the Liqui-Moly Bathurst 12 Hour. 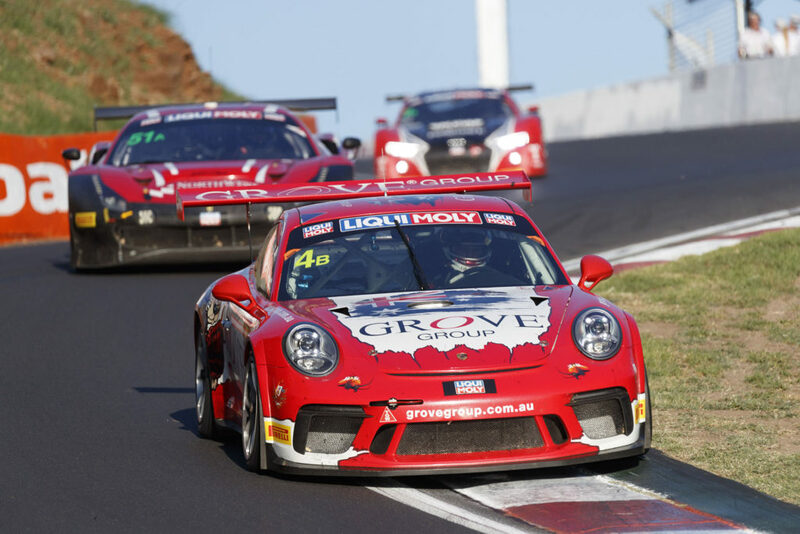 IT IS subjective, of course, but I think what we witnessed on Sunday was one of the all-time best Bathurst endurance races. Not the most dramatic (that will forever be the 2014 Bathurst 1000) nor the most controversial (any number) but the best all-round motor race for, you know, racing. It had it all. 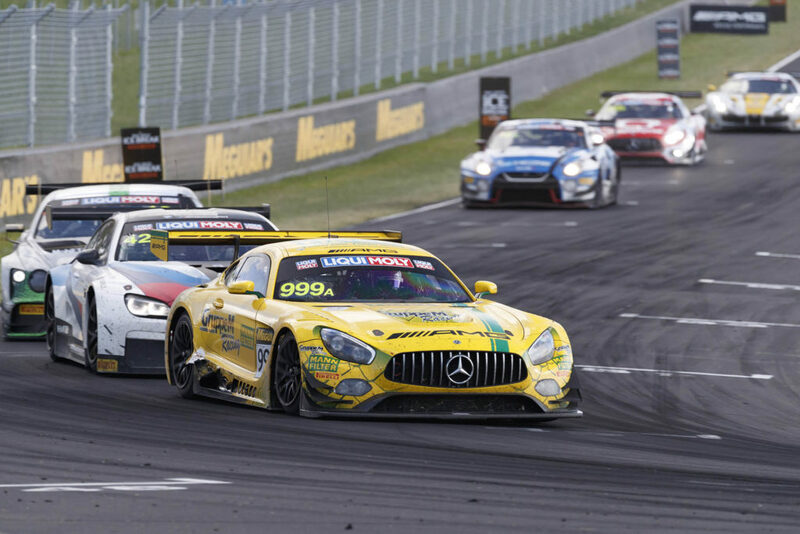 The record number of consecutive green-flag laps (111) were a breath of fresh air for a race that in recent years has been blighted by too many Safety Cars and some average driving standards. It allowed the race to breathe and strategies to work out without the need to stop every 10 laps for fuel under an inevitable Safety Car. Even though the caution with half-an-hour to go set up the brilliant finish, all the green running was the reason we got there. The sheer relentlessness of the race was what grabbed me: the brutal pace took its toll on cars and drivers. 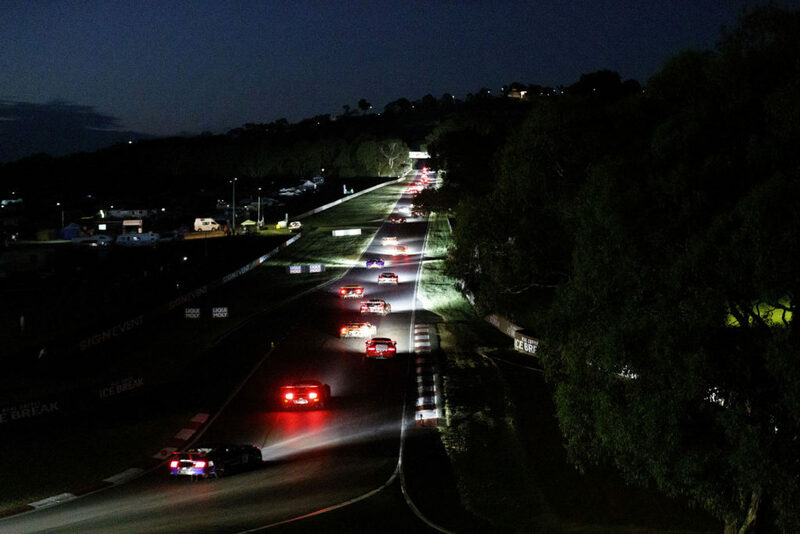 At an average speed of just over 161km/hr, it’s the fastest 12-hour ever and only trailed last year’s Bathurst 1000 (run at an average speed of 165km/hr) as the Mountain’s fastest ever race. The difference being, of course, that this one went very nearly double the distance. It’s notable that for the just over four hours we ran green, the top seven cars on the lead lap were never split by much more than sixty seconds for the duration. The mix of flat-out racing, strategy games, unbelievable wheel-to-wheel racing and a grandstand finish made it the best race I’ve ever called. And probably one of the better enduro’s I’ve seen, full stop. THE GREEN running delivered the best strategic race we’ve seen there, too. From the first round of stops we were convinced that this was a race for track position, and so it turned out to be. The mid-race battle for the lead between the Bentley and Augusto Farfus in the BMW was proof that this year’s 12-Hour was a race that people felt like they needed to lead. With the race run at such a breakneck speed sitting back and waiting wasn’t a smart idea because there was every chance you’d get left behind. And as we saw with the No. 107 Bentley, if you want a lap down that was your day done. In years prior you could bet that there’d be enough Safety Car to get a lap or two back but if you dropped off the leading lap this year, that was it. All over. 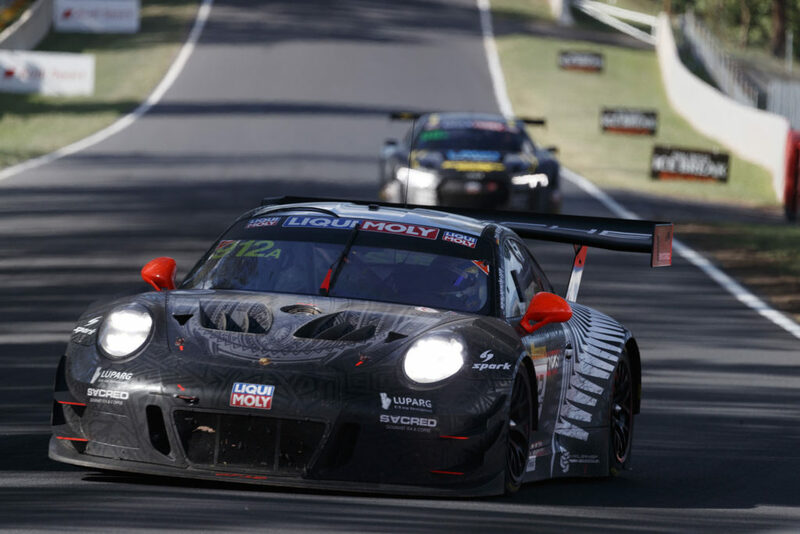 The split strategies throughout were fascinating and when the pair of Porsche’s emerged first and second on lap 226 – having elected not to stop during the previous safety car like most of the other leaders – the winning strategy was set to unfold. Their gamble was grabbing track position and hoping that the race played out in a way that they would get home on two stops, and two stops only: the three or four lap economy advantage enjoyed by the 911 GT3R aiding their cause. Ironically, the brutal pace and the decision to take four brand-new tyres at their final pit stop ensured that once the final round of stops was finished they ultimately sacrificed their valuable track position for having a fast race car instead. Without the final Safety Car there’s probably a realistic chance that Matt Campbell wouldn’t have got much further than third place, but in this case Porsche’s gamble to take the extra 20-seconds or so and fit new rubber almost certainly won them the race. THERE were so many good drives throughout the contenders that remained at the end. Marciello has been vocal about his disappointment about the way the end of the race unfolded, but the fact remains that had they not received the drive through penalty earlier in the race they would have emerged from the final round of stops in front. Once again, however, he was one of a few internationals caught out by the local Safety Car and restart procedures which in these days shouldn’t be an excuse. The process is well defined by the race director in the drivers’ briefing and should have been smashed into the drivers before each restart as well. Failure to do so probably cost them a better shot at winning the race than the very competitive effort they still were able to post. Not adapting to the local rule quirks shouldn’t be an excuse for the modern GT driver these days. After all, so many of them bounce between the United States and Europe – with different rules on either side of the Atlantic – that they should be adept at adapting by now. Even Porsche were caught out by it, with the No. 911 car penalised after the re-fueller was caught sneakily cleaning the radiator grille with his foot while putting fuel in the car. The rules state very clearly that is a big no-no, and they were penalised as such. Imagine if that happened to the No. 912 as well? They’re the one-per-centers that can change a race and that was proved again on the weekend. Still, ‘Lello was a star of the race. Motorsport needs drivers who drive at 110%, all the time, and he looks like one of them. Be it the shootout or the race, he was immensely fun to watch. 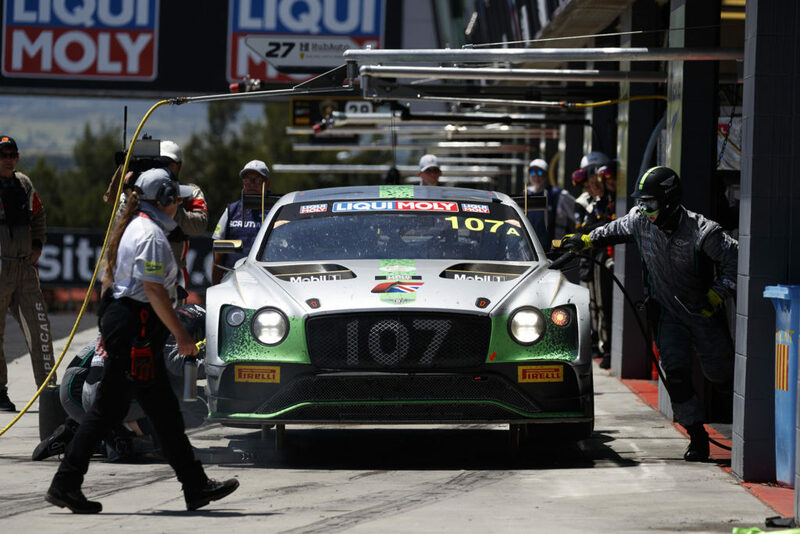 40 CARS is just about perfection for the Bathurst 12 Hour. While some clamor for the glory days of 60-car grids and full classes the world has changed. 40 is the perfect balance between having a big enough field to fill the track but keeping the quality high enough to keep the Safety Cars away. The net result was that the eight Safety Cars interruptions was the second least in race history – behind only the 2011 race which had six (and only 26 cars). This year offered the best balance between a big grid and a brilliant show the race has ever seen and if it settles at that number in perpetuity then I’d be fine with that. In my personal opinion, the ideal balance is 26-28 GT3 cars split between Class A and Class A Pro-Am, 4-6 Porsche Cup Cars and the same in Invitational. 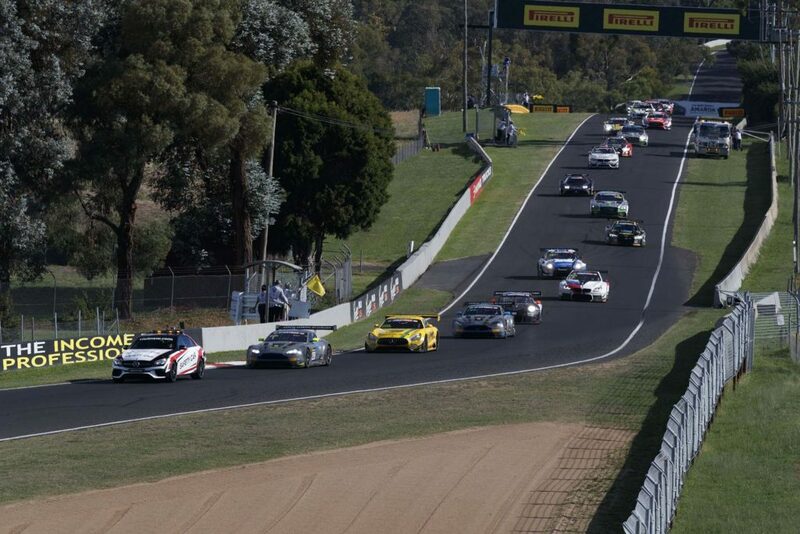 GT4 has its place, but if it doesn’t grow further in Australian conditions then it will be interesting to see if it grows, or gets phased out all together. That will be an interesting decision to take given how strong it is in other parts of the world. THERE IS no point reading internet comments these days if you are involved in Motorsport TV production. Either people complain that there are too many adverts if it’s on free-to-air, or they complain that they have to pay for it if it isn’t. It can be quite disheartening to those who work very hard to produce the coverage so for the most part, quite smartly, they ignore it. A word needs to be offered for the Supercars Media crew that produced the broadcast on the weekend. The fact the final 56 minutes went commercial break free is remarkable – the team worked impossibly hard to make sure that the payoff, the conclusion to the race, would be shown without cutting away at a critical time. That takes enormous production management throughout the race – the guys and girls in the truck think as far ahead into the race as those calling strategy do. For the record, there were six less commercial breaks in this year’s 12-hour 30 minute broadcast than last years, four more in-car cameras and the excellent Pirelli Bunker touch screen that added so much. Producing that coverage is a herculean effort done at a fraction of the resource provided for a Bathurst 1000. I thought it was the best yet, by far, but then I’m biased. THAT was the best race-directed race I’ve ever called. Race Director James Taylor and Driving Standards chief Greg Crick holstered their guns and let the race play out for much of the day, smashing their goal of getting it past 300 laps for the first time. When there were incidents, they gave every chance for the car to self-recover before throwing a Safety Car out. When there were Safety Cars, they did everything in their power to minimise laps behind it. The racing was extremely hard at times – Augusto Farfus’ spirited defense in the BMW was probably one of the few moments that crossed a driving-standards line – but in the end there were only one or two bad sportsmanship flags shown. The drivers were left to race and that was the best thing possible for the show. I also loved that they considered every incident. People will joke about the ‘Roland’ factor when the Vodafone car was pinged for passing the Safety Car (‘Oh no, Jamie, what have you done again?’ was the common thought), but quite rightfully, they gave them time to assess the evidence and reverse the penalty applied before forcing them to serve the drive-through. I’m sure RD appreciated it and I’m sure Race Control appreciated the fact the team raised it. They want to make the right calls and good, clear communication from the lane to those upstairs was key here. It was very well managed by all parties. People have asked about the final Safety Car and how it all seemed a bit too convenient to set up that thriller finish, but I offer you this: A car parked on the side of a 285km/hr straight hit by another car doing 285km/hr would have caused a debris field larger than the asteriod belt in the Solar System and caused unimaginable damage. It had to be called. The warning light system worked a treat, too – I am convinced it helped slow people down for the early crash between the Ferrari and MARC Car at the blind entry to the Elbow, avoiding further carnage. Finally, the decision of ‘fair bump, play on’ surrounding the Mostert-Campbell contact was the obvious one to make and even Chas Mostert agreed. I think race control needs an enormous pat on the back for that weekend: Well done James Taylor and his team. FINAL TAKEOUTS on that race include mentioning how good the Triple Eight guys were. Battered, hot and with no brakes they ultimately fell 0.2 seconds from the podium having started 19th. Craig’s double early in the race was with some duress, but was excactly what you’d expect from the Bathurst master. Whincup’s middle stanza was brutal in it’s consistency and Shane did what Shane does at the end and ensured they had hope. People love T8 or they hate them, but once again they proved that they are one of the best racing teams around, regardless of car or category. JAKE Dennis is a star, and was poised and really fast all weekend long – in the same way Chiyo-san went from zero to hero in 2015, this was a similar story for Aussie fans who had never heard of him before. Aston Martin could do worse than signing the young Brit up straight away. KCMG Nissan will be frustrated with their end results, because both cars were properly quick all day. I hope they return – they were professional, fast and brilliant all weekend. More Japanese influence in the race, please, too – Tsugio Matsuda was a boss. IT’S worth noting that the Grove Hire Porsche completed 299 laps and broke the existing outright race distance record en route to their fourth class win. Get those guys a GT3-R next year and lets see them go after the Pro-Am class win. OH YES. MATT CAMPBELL is a genius. But we already knew that, didn’t we?